Increasing the average customer lifetime value (LTV) for your customer base should be the driving force behind every marketing activity. Even when the campaign target involves non-revenue metrics, like brand awareness or affinity, your ultimate goal is to make every new and existing customer more valuable to you than before. Marketers tend to think on the margins when investing in campaigns, which is a sensible way to encourage ROI. However, they typically prioritize limited-focus conversions — a single purchase, a bigger order size, a commitment to a more expensive monthly package, etc. In reality, these short-term, often single-purchase goals fail to drive long-term revenue the same way that LTV-based goals do. When a brand chooses to focus on LTV instead of a one-time sales lift, they strategize more effectively when creating campaigns. They begin looking to their best customers, following the Pareto Principle that 20 percent of customers generate 80 percent of revenues. Perhaps most importantly, the brand begins to position its offerings in a way that increases the potential LTV of each customer. Amazon’s Prime subscription and Echo, for instance, both provide value to customers while increasing their monthly purchase rate. Brands cannot explore possibilities like these when setting simple goals for sales lift or new customer acquisition. Read on and learn more about why switching your metrics to LTV-based ones improves your campaigns and your brand. With a typical campaign approach, a marketer sets a goal for a low cost-per-action or cost-per-acquisition. The ROI on these figures is usually measured against a small purchase price and an even smaller margin. Therefore, the budget allotted for each estimated conversion remains low, and the campaign scope remains limited to short-term goals. Say, for example a company wants to get a 5 to 1 return on their ad spend and only looks at the short-term revenue of $100 per unit sold. Then they will only invest $20 per projected sale. This short-term limits the scale and scope of the campaign, only focusing on getting that single, non-recurring sale. Yet, when increasing lifetime value is the goal, the budget for campaigns can increase while still providing ROI. A loyal customer who may provide several hundred dollars’ worth of value over the year is worth a higher cost for your campaign. Netflix embraces this approach wholeheartedly by investing billions in both original content and substantial marketing for each intellectual property created. The goal of these campaigns is not to get a customer to simply pay a single $9 monthly subscription fee, watch the show, then cancel. Instead, earning interest for their original programming increases the likelihood that new customers can be acquired and existing customers stay onboard. In other words, they increase the LTV of each customer by investing in campaigns that spur ongoing retention. Measuring your audience data and the effectiveness of your campaigns with an LTV-centric strategy allows you to optimize your segmentation strategies. Campaigns focused on targeting those with the highest LTV drive higher ROI. Relevance to the interests/values of the customer improves, so a more-focused campaign scope ends up driving a higher conversion rate. Even better, brand affinity remains high. A non-LTV-focused campaign might drive seemingly high returns but have little appeal for high LTV segments. For instance, Apple rarely wages aggressive campaigns trying to convince users of specific Android devices to switch to iPhones. If they simply tout spec list features like a better processor speed or camera quality, they could just as easily become the losers in an arms race if the competitor beats those numbers next year. Someone interested in the absolute best processor speed at any time therefore ends up being a low LTV customer. Instead, Apple sells iOS devices as an experience. When an upgrade comes out, existing iPhone users must understand that the new phone improves upon the stellar experience Apple already offers. Even when trying to convince users to switch to iOS, Apple mostly advertises seamless integration, intuitive UI and other abstract qualities associated with the forward-thinking brand for years. Many commercials also show how the switch is effortless, overcoming a common objection among the stickiest customers of competing brands. Brands focused on LTV end up becoming market leaders in customer experience. Looking at cable companies, which tend to have low customer satisfaction, many put a lot of effort into signing people up but little into retaining them. A new customer may receive financial incentives for switching along with a low promotional rate. Yet, over time, the price of the package increases. This monthly cost typically has an inverse relationship with satisfaction, creating a toxic mix for brand appeal. A marketing campaign aiming to increase the LTV value of subscription TV customers may instead promote new, cheaper, more-convenient packages or improved customer service. It may also tie into new products aiming to appease customer demands, such as customizable channel packages. The Harvard Business Review describes this approach as taking action to make your customers “better.” By completing the sentence: “Our customers become more valuable when ____,” brands can discover behavioral triggers that lead to improved LTV. Returning to the cable example, their customers become more valuable when they have options for more relevant channel packaging. Or, they become more valuable when they can resolve complaints rather than switching to a competitor. In this way, looking at LTV can help reveal other metrics to prioritize for marketing campaigns than conversion rate or CPA (cost-per-action advertising). 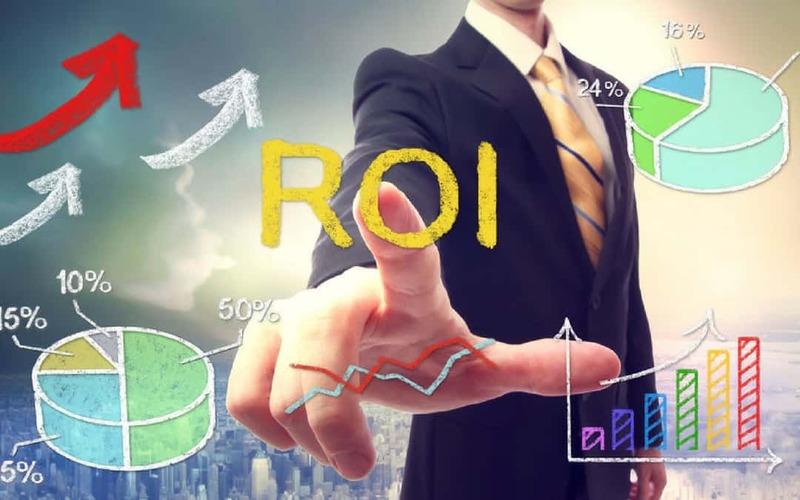 Discovering the qualities of high LTV customers and taking steps to increase their value can improve the ROI of campaigns while building stronger audience relationships in the process. Looking for better ways to measure, analyze and predict customer LTV? Want actionable advice on how to improve LTV or target high LTV customers? Symphonic Digital provides leading insights on LTV calculation and analysis. We deliver actionable consulting advice on how to optimize your campaigns in order to reach higher-value audiences and raise their LTV. Improve your campaigns, and turn LTV analysis into a lucrative conversation when you contact us today.